The question is uniquely feminine, and it resides in every woman's heart, in spite of her best efforts to ignore it. Although she aches to be adored and desired, she decides that it is good enough to be loyal, hard-working, strong, or steady. 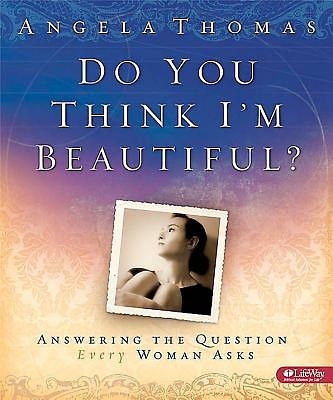 But there is Someone who finds her beautiful, who adores her and seeks to woo her to Himself-and best-selling writer and popular speaker Angela Thomas explores the deep and life-changing implications for women who come to realize that. Practical Bible teaching and real-world advice help readers bridge the gap between the life a woman longs for, and the life she actually has. Filled with warm, personal anecdotes, and written in an intimate, affable style that reaches out to readers, Do You Think I'm Beautiful? invites women to awaken passion, and to meet the embrace of the One who calls them beautiful.